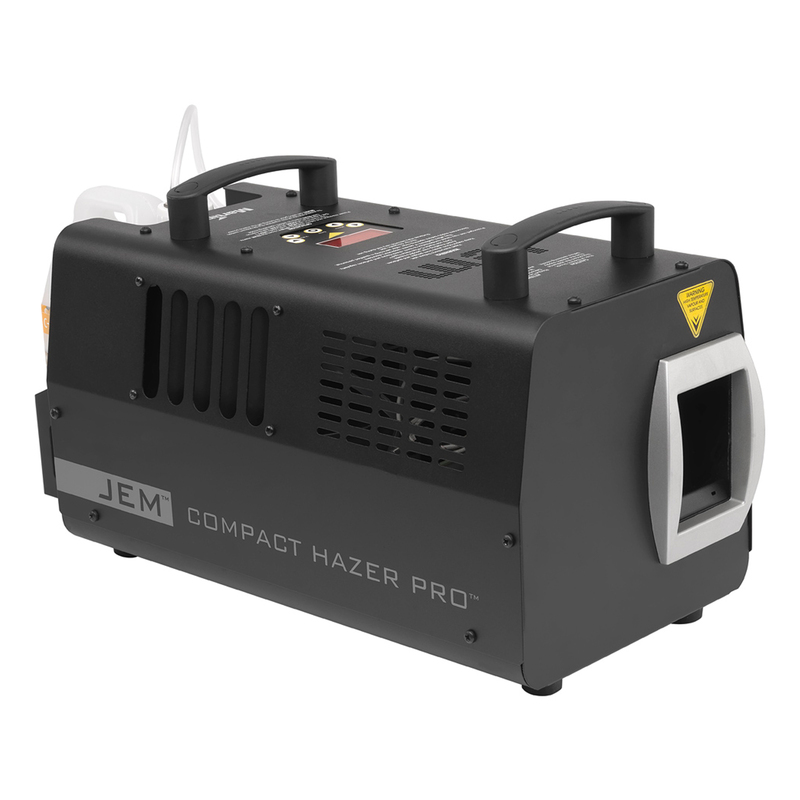 Robust yet small and lightweight, the JEM Compact Hazer Pro is a versatile haze machine designed for the highly demanding professional market. Its ability to produce exceptional atmospheric haze effects in a short period of time while operating at low noise levels make it ideal for nearly any application from shows and events to theatre, TV studios, clubs, cruise ships, theme parks and more. · User-friendly on board digital control panel. · Independent variable haze and fan control. · Water-based fluid provides dense particles and even haze. · 2.5 l fluid reservoir - up to 20 hours on full output. · Optical Density Timer Control system. · Optional flying kit, air director and digital remote control. · Small footprint - lightweight, less than 25 lb. filled. Fan speed: 200 - 2500 rpm approx.